Redbox will continue to stock Paramount titles day-and-date with DVD and Blu-ray Disc releases, a deal that gives the movie kiosk company good positioning against competing rental company Blockbuster. Paramount began analyzing data from a test period which started in August ’09 and concluded that the $1 a day DVD rentals ($2 Blu-ray) will not compete with sales of DVDs and Blu-ray Discs. “After analyzing the data from our test period we have concluded that redbox day-and-date rental activity has had minimal impact on our DVD sales,” said Dennis Maguire, worldwide president of Paramount Home Entertainment. The extended agreement will last throughout 2011, with an option for Paramount to extend the deal through 2014. 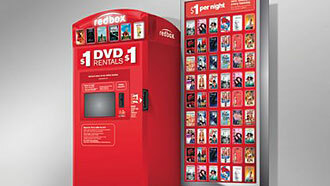 The deal includes the approximate 22,000 Redbox kiosk locations. 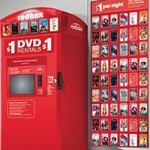 Other film distributers allowing Redbox $1 rentals day-and-date with sales include Lions Gate Entertainment Corp., The Walt Disney Co., Sony Corp., Summit Entertainment LLC, and Liberty Media Corp.’s Anchor Bay Entertainment. “It’s about raising awareness of theatrical titles and other Paramount products,” Lowe said. “We continue to make the case to all of the studios that our customers are big entertainment consumers. They go to the movies. They buy movies. They rent movies.